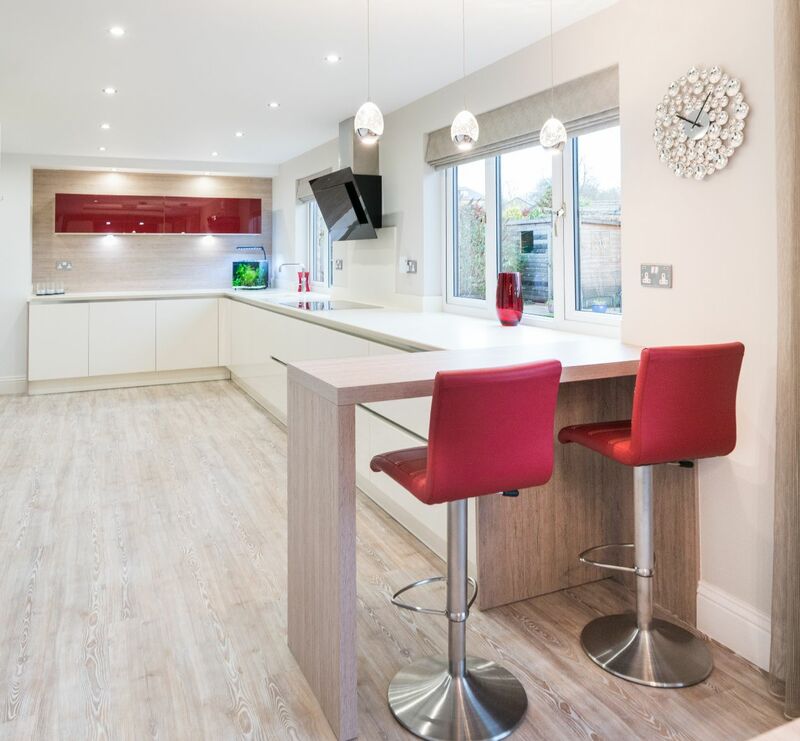 Creating a workable, yet stylish kitchen for a busy young family was the remit for designer Maxine Hutchinson, when Alina and Keith Cotterill arrived at the Kitchen Design Centre. 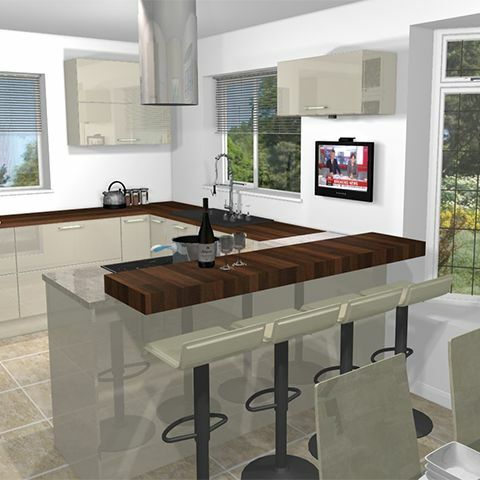 While Alina and Keith Cotterill had a good idea of what they wanted from their new kitchen, they struggled to find a designer that could come up with exactly what they had in mind. 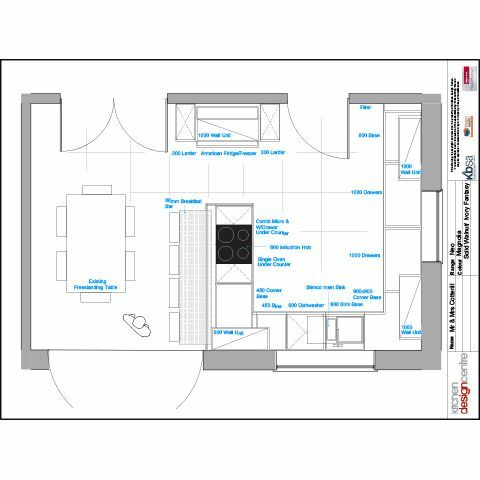 They were just about to go ahead with a scheme that they considered acceptable, when a friend of Alina’s recommended Kitchen Design Centre. With three young children the Cotterills were keen to create more space and make their kitchen the hub of the household. Knocking down a wall created that space but it wasn’t until designer Maxine Hutchinson stepped in that the new kitchen and living space began to take shape. “Maxine was really good. She made many suggestions and recommendations that have really made a big difference. 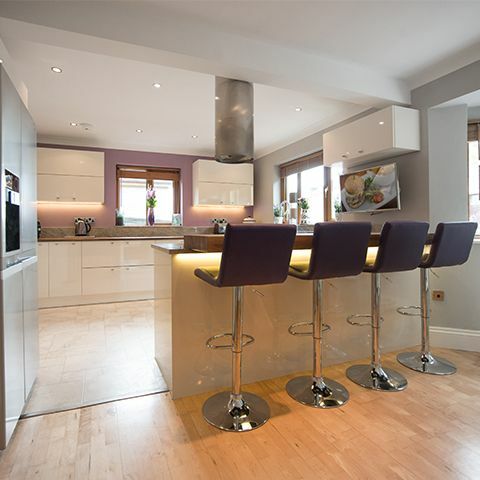 We chose cream gloss solid timber units, and solid walnut and granite work surfaces. “I wanted a gas hob but a Neff induction hob was recommended , which I love! 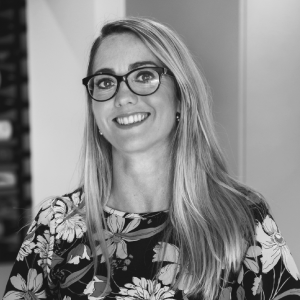 When Alina and Keith first approached Maxine at Kitchen Design Centre, they explained that ideally they would like an island unit incorporated into the design, as Maxine explains: “There wasn’t really enough room for an island as it would present practical difficulties when moving around the kitchen. 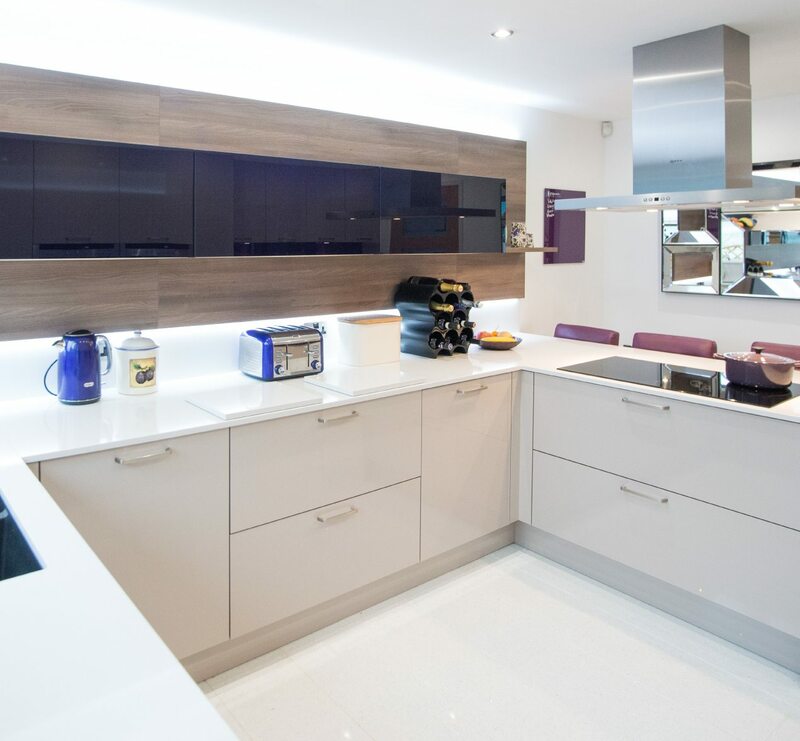 Choosing German-manufactured Hacker high-gloss units gave the kitchen a contemporary style yet Maxine suggested traditional wood and granite for the work surfaces. When choosing the appliances Alina and Keith opted for an oven, a combination oven, a warming drawer, and an induction hob by Neff as well as a slim cylindrical extractor over the hob which avoided an overhead beam and looked sleek and discrete. Incorporating two lift-up cupboards either side of a window, to create a symmetrical feature, completed the design. “Knocking the wall down has created a really open plan living space, which is really practical,” says Alina. 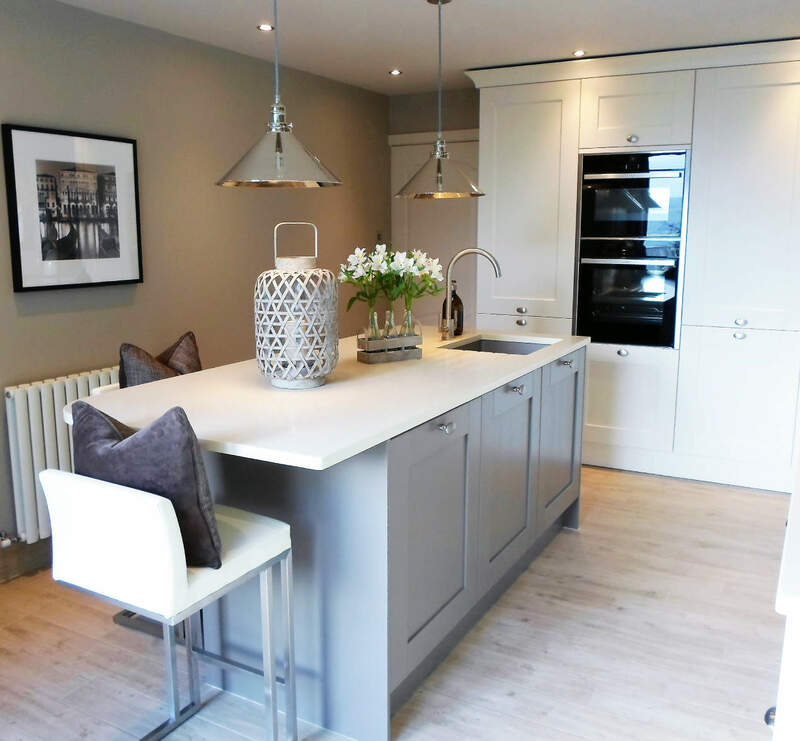 "The kitchen is now a really sociable space, it is lighter and we now have a feature wall complemented by lovely French grey and mauve shades. It is beautiful!" "There wasn’t really enough room for an island as it would present practical difficulties when moving around the kitchen." "I suggested a peninsula, which worked better. It also meant that the children could sit at the bar while food was being prepared, so it’s a very sociable kitchen."